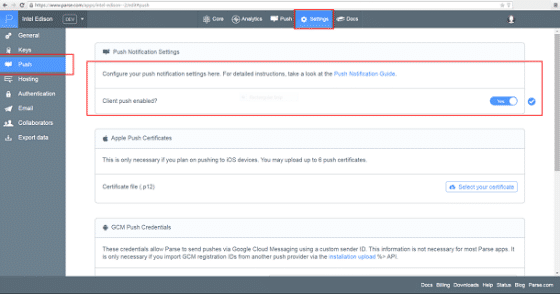 Looking to run your Internet of Things (IoT) devices remotely? Parse is a cloud mobile backend service that allows you to interconnect and manage a myriad of devices from an intuitive and simple to use web interface. It offers just about any feature you would expect from a cloud provider including analytics and stats, a database, push notification services, and server side programming, among others. The Parse Embedded SDK is available for multiple platforms from desktop and mobile to IoT devices. 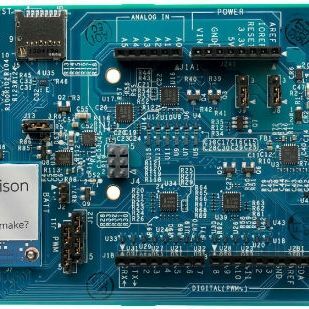 First and foremost, if you haven’t done so already, you’ll need to get the Intel® Edison board up and running with the latest OS image and connect it to the Internet. There’s a comprehensive guide on how to do so on the Intel® Developer Zone - IoT page. Unlike the Intel® Galileo board, the Intel® Edison board does not have an Ethernet port, thus the preferred connection method is the integrated Wi-Fi*. In case you missed it, once you connect to the board either via serial or Ethernet over USB, the configure_edison tool will let you set up wireless access. If you don’t have wireless access, it should be possible to route an existing Internet connection via software to the RNDIS (Ethernet over USB) network on the Intel® Edison board. From here on, I will assume that you have successfully connected the Intel® Edison board to the Internet. The first line will add the Intel® IoT developer kit repository to the opkg configuration file. This tool is used to manage installed packages on our Linux distribution. The second and third lines of code will update and then install the required uuid-dev library along with any needed dependencies. This code unpacks a main.c code file along with a makefile that is configured to compile the code and link against the newly installed Parse library. To make changes to the code file you can either use the vi editor that’s installed on the Intel® Edison board or another editor of your choice that allows you to write files over a network connection. Personally, I prefer Notepad++ with the NppFTP plugin that allows modifying files via FTP easily, but there are other tools available that you can use to the same effect, like WinSCP for instance. That’s it! 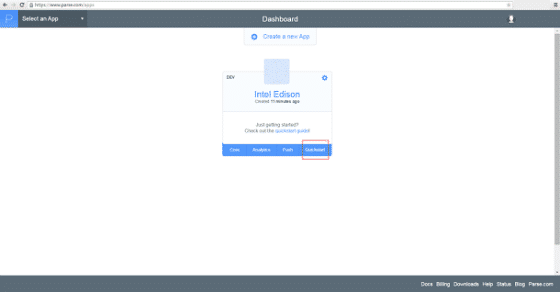 We hope this tutorial was helpful for installing the Parse SDK and running sample apps on the Intel® Edison board. 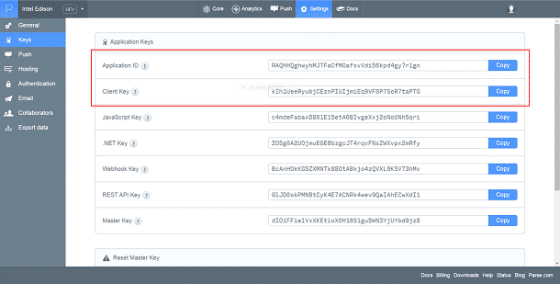 The steps needed to install Parse SDK are also summarized in our github repository.